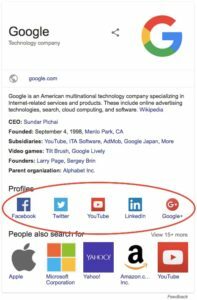 How to add social profile links to structured data? 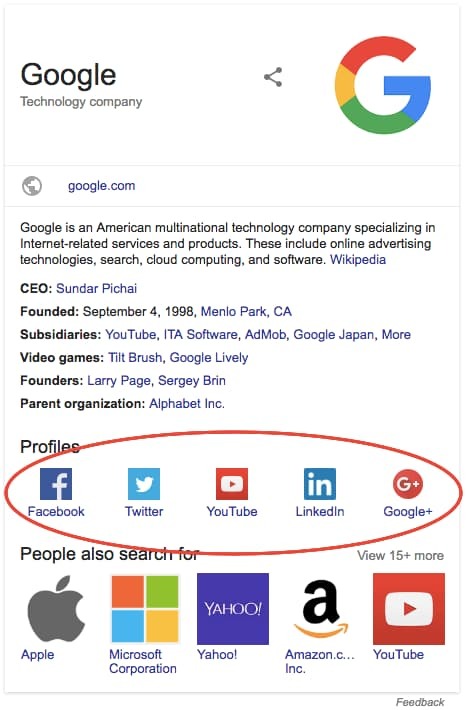 During the time of writing this blog post I was not able to find a knowledge graph that actually showed social profile links. The picture from the right is the search result that Google shared on the documentation page for social profile schemas. I don’t know if social profile icons are only temporarily hidden or if it stays that way. I’ll nevertheless explain the official way to add them. SNIP – The Rich Snippets and Structured Data Plugin for WordPress ships with some examples already. One of it is an Organization markup that you can use as a starting point. 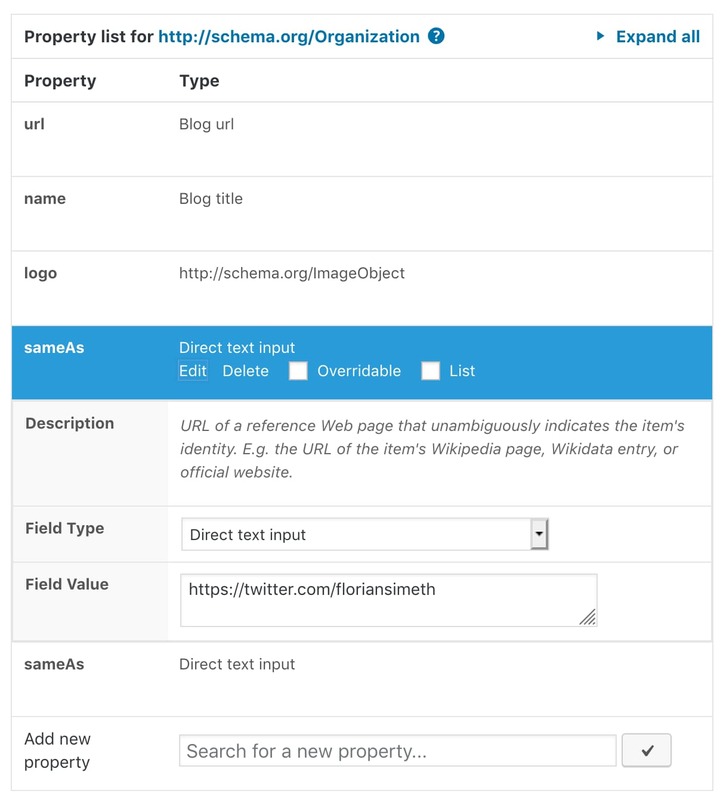 All you need to do is to add the sameAs property to your Organization snippet. Then choose “Direct text input” for the field type. Then enter your social link URL to the input field that appears. If you want to add multiple links, just add the sameAs property multiple times. As shown in my Structured Data Training videos (especially then one that explains the overwriting functionality of SNIP), multiple properties with the same name will merged together later to an array of values. Google says that this works for a Person Schema, too. All you need to do is to follow the steps above and add sameAs property to a Person.